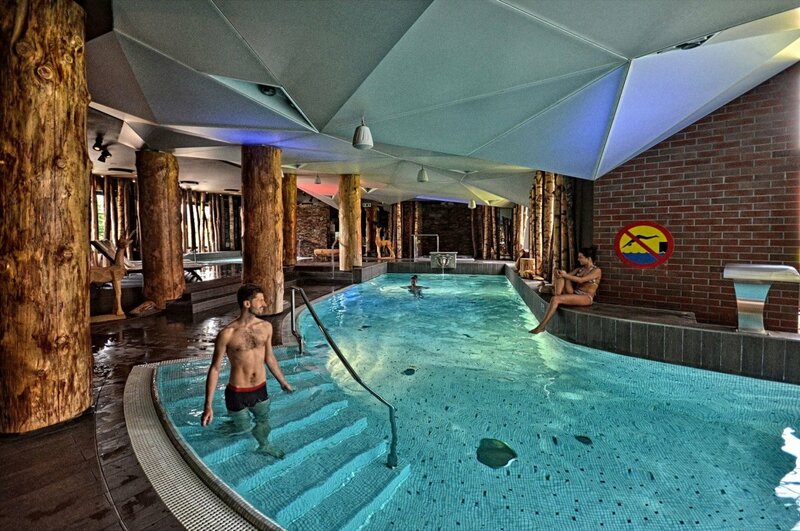 We invite you to use the hotel swimming pool complex maintained in the scenery of the forest. 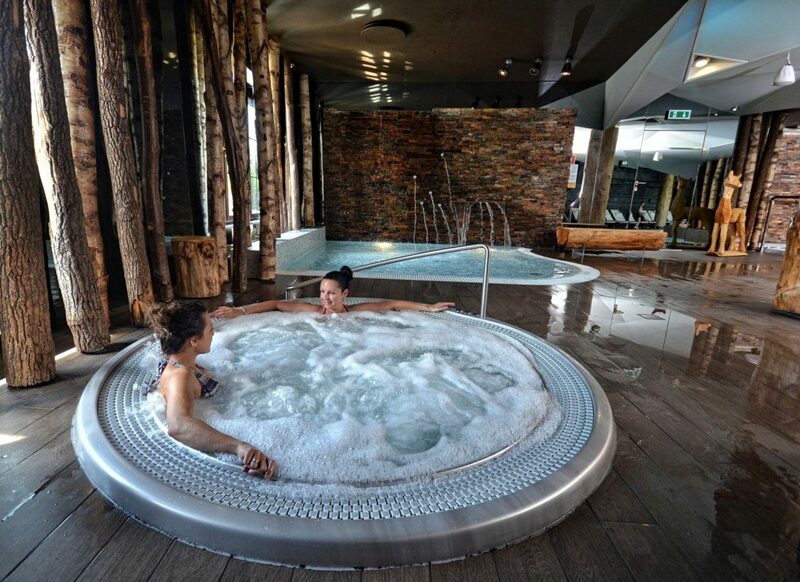 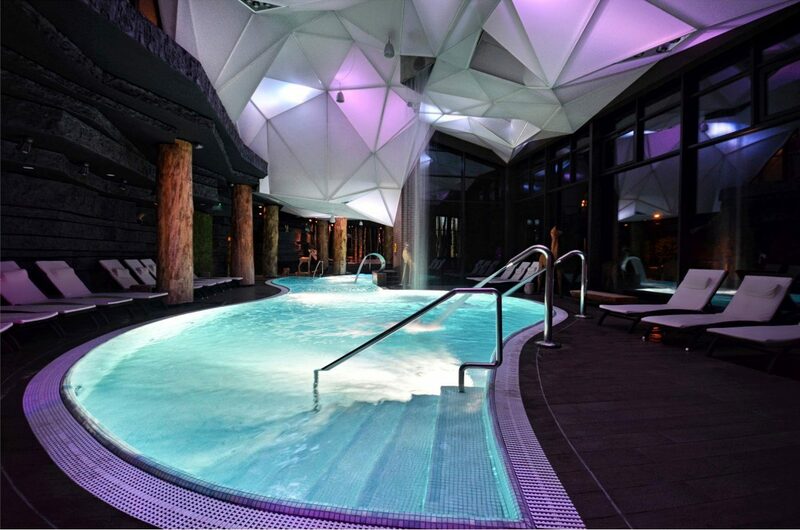 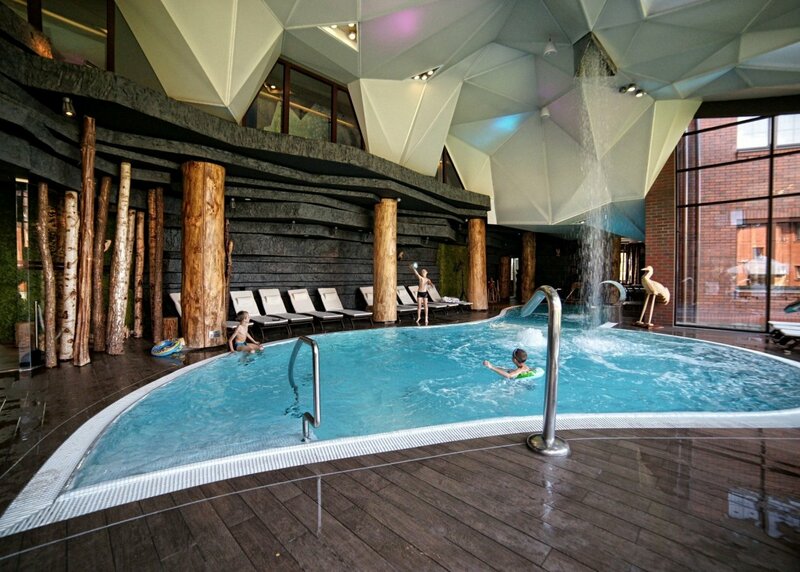 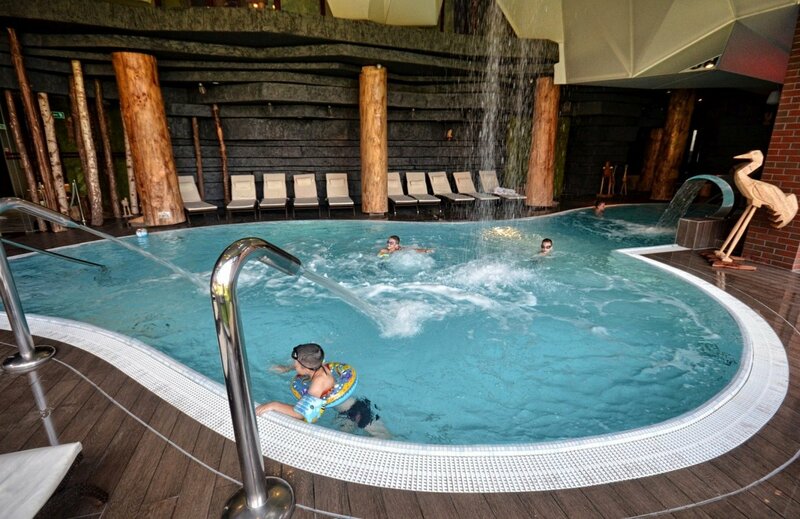 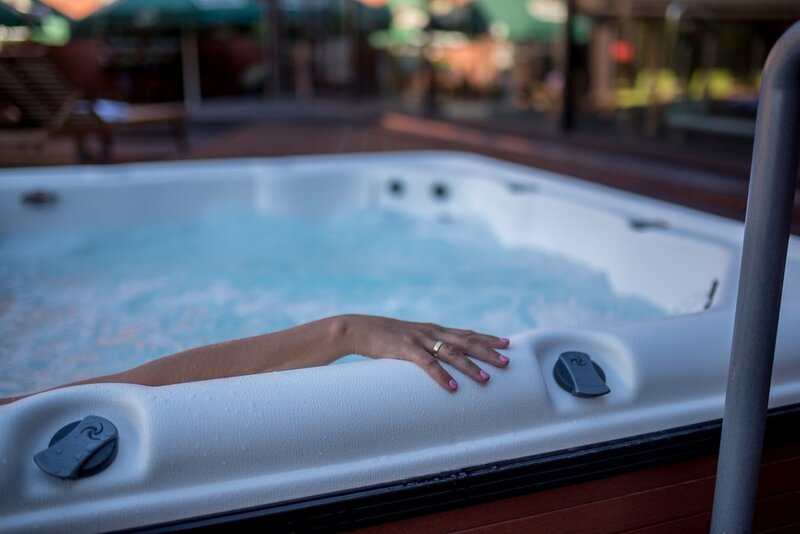 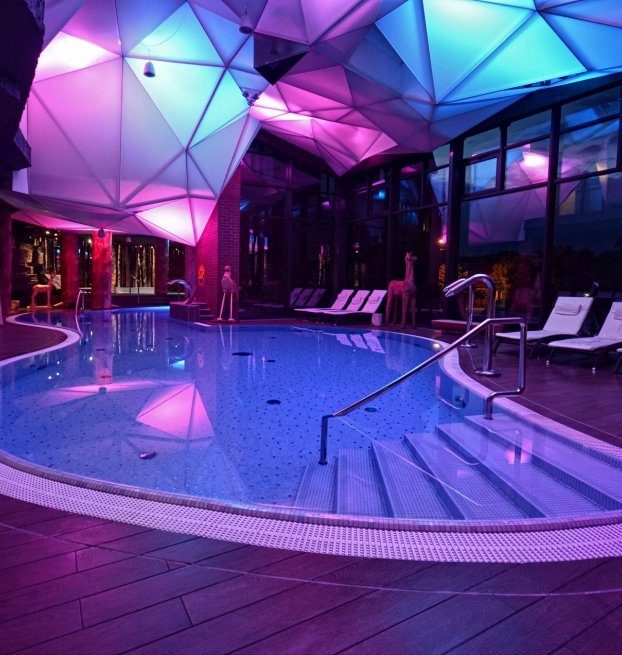 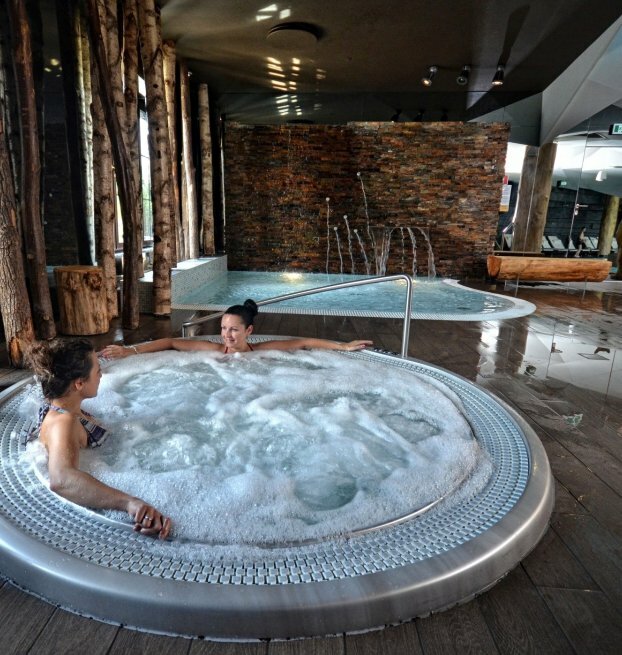 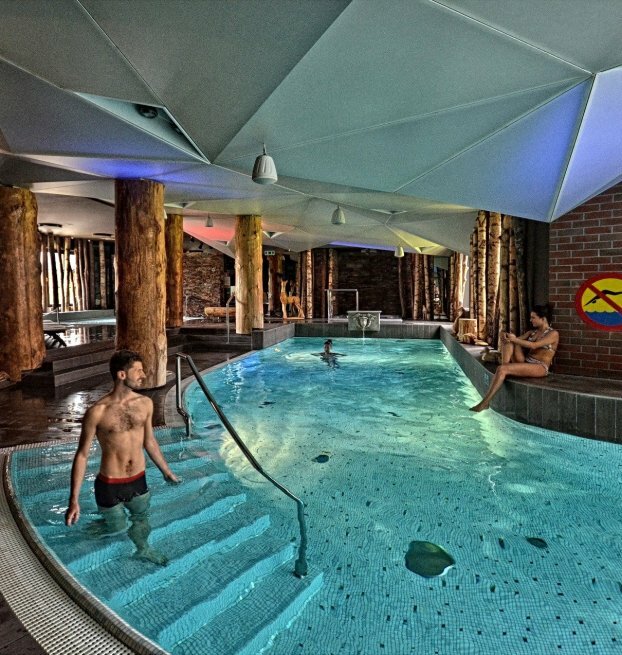 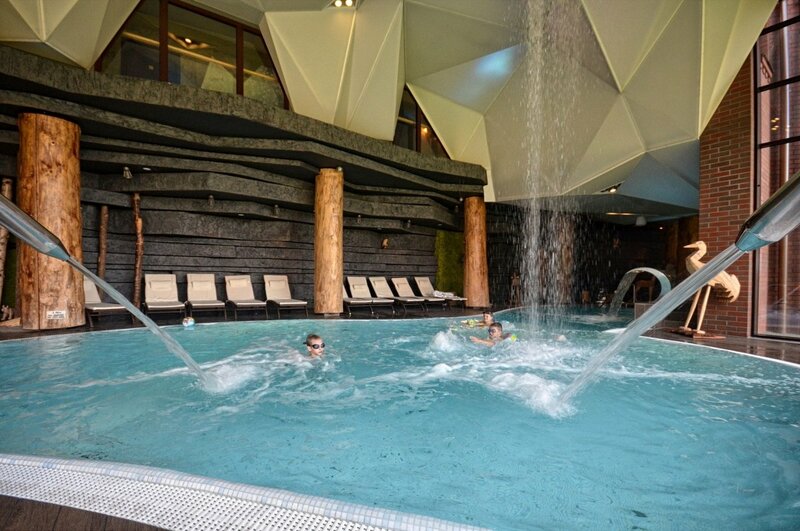 It includes: recreational swimming pool (in the summer also with the possibility of sunbathing), anti-wave, hydromassage, paddling pool, cavern with attractions, three saunas and two indoor whirlpools and an outdoor jacuzzi! 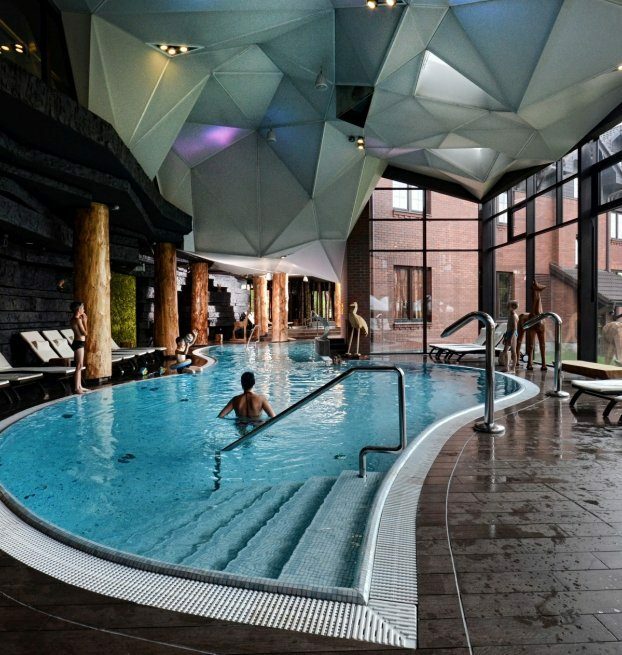 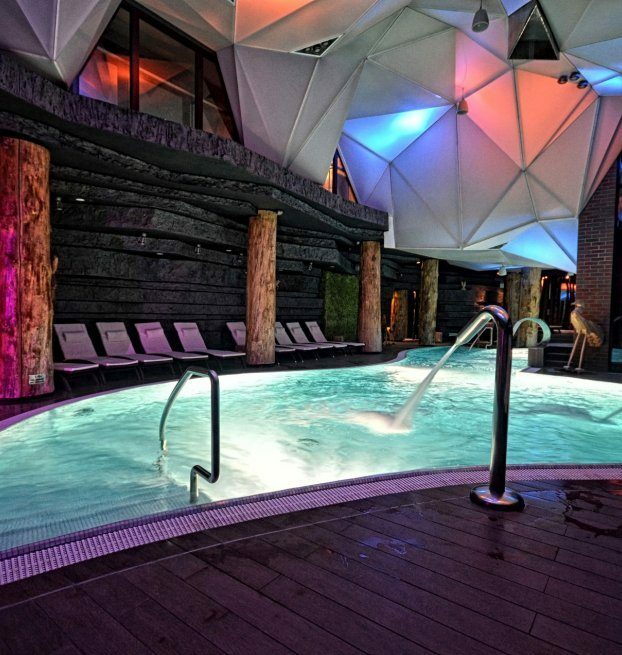 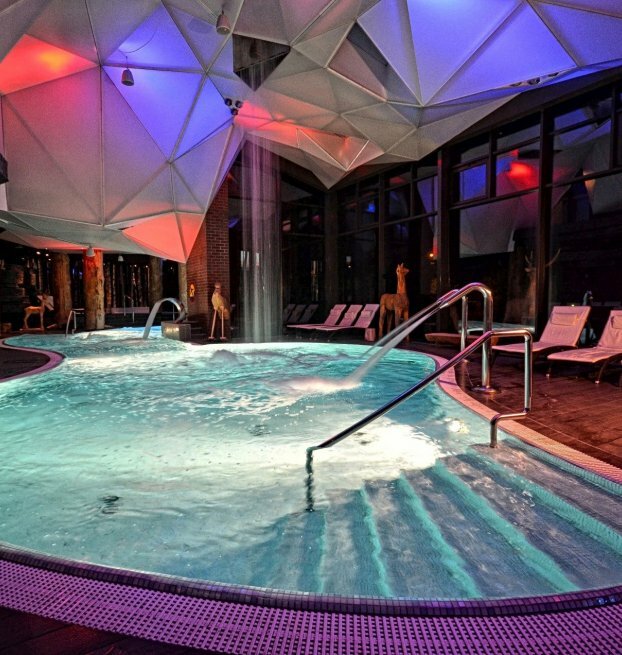 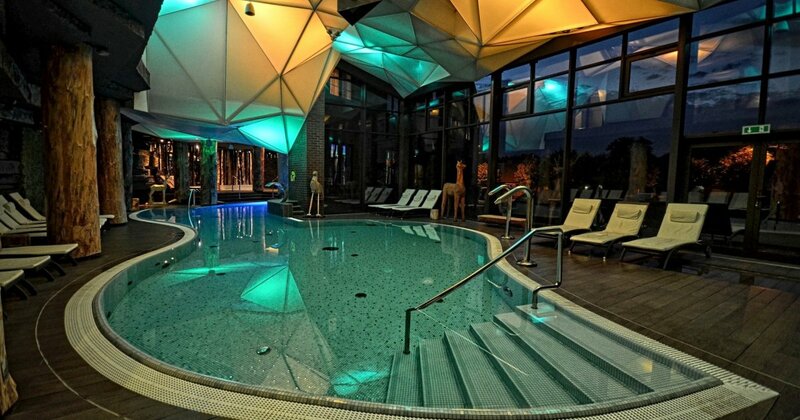 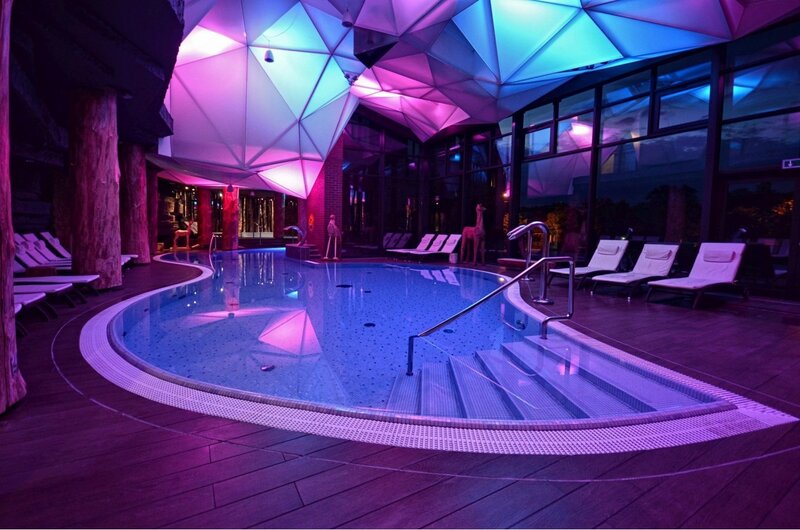 Swimming pool of the Zubrowka Hotel is a perfect place to relax, regardless of the weather prevailing outside or the time of the year. 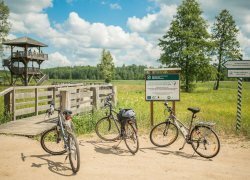 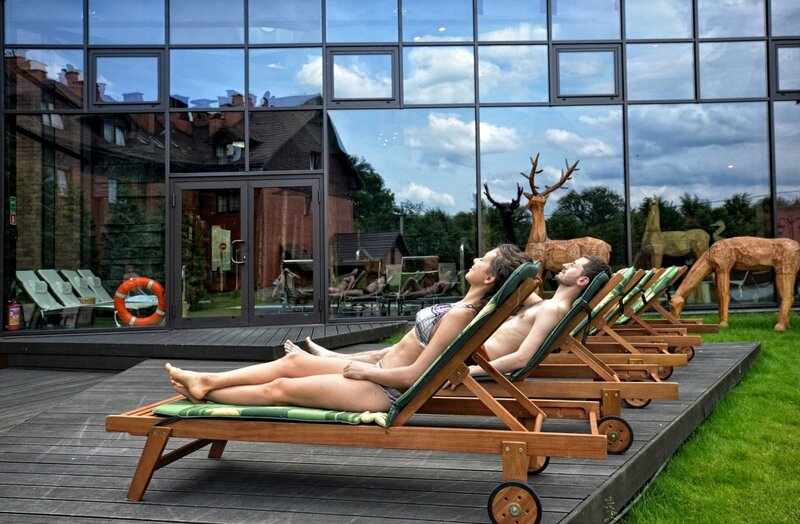 It was designed in reference to the scenery of the Bialowieza Forest, in such a way as to meet the expectations of even the most demanding people. 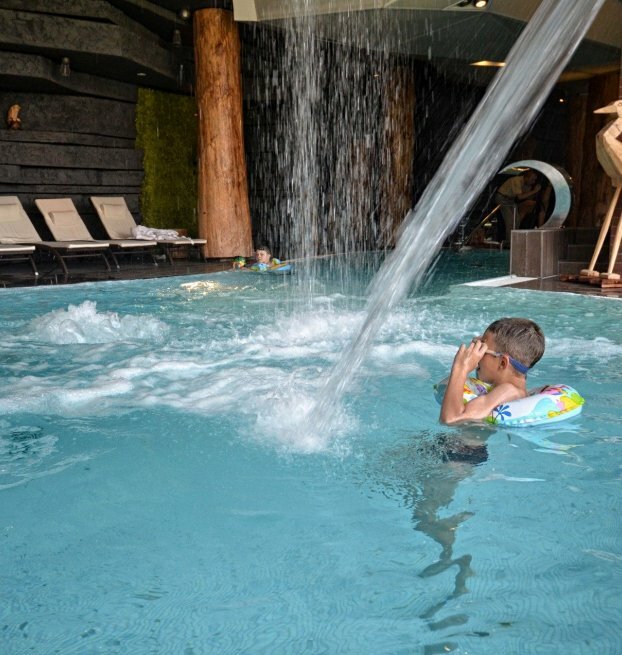 The children's pool has been prepared for our youngest guests, children can play safely in shallow and warm water and enjoy specially prepared colored attractions. 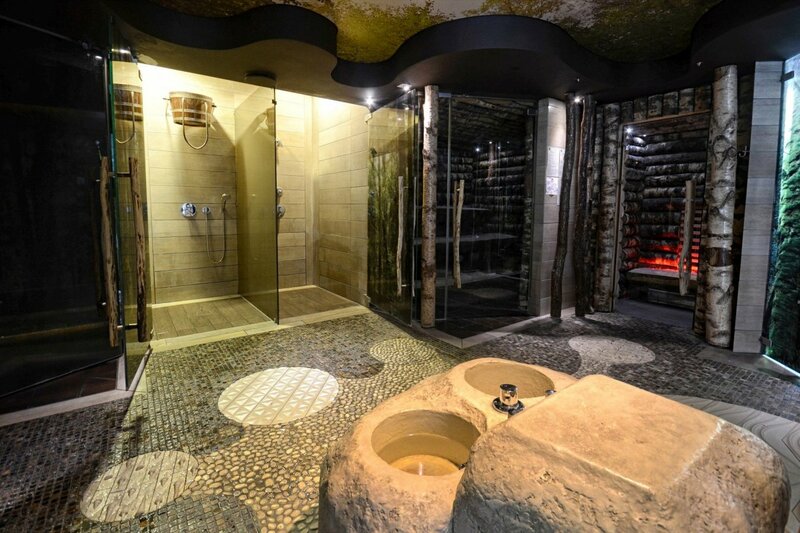 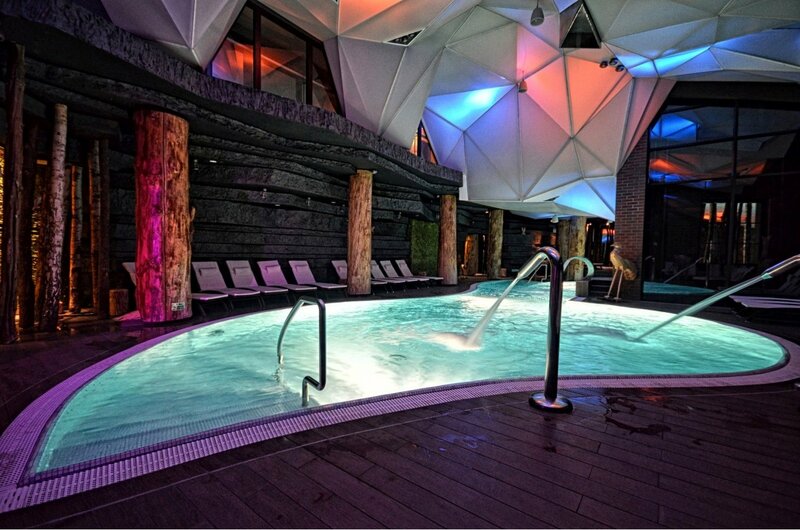 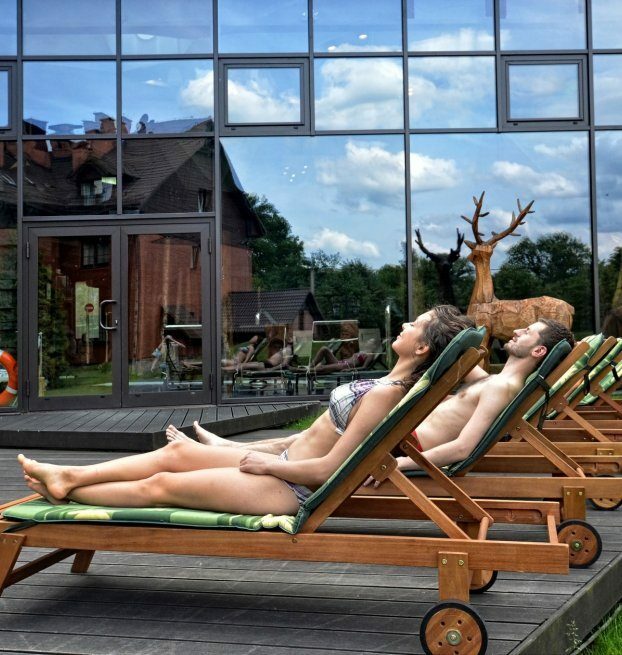 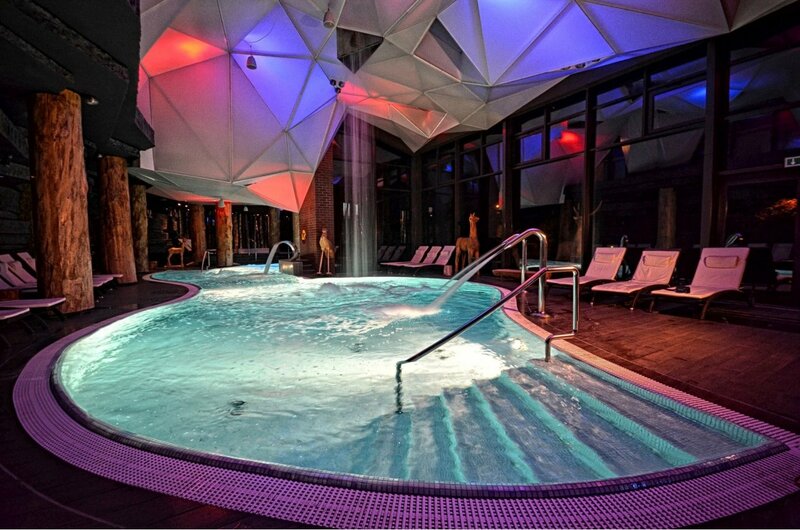 The Sauna master of the Zubrowka Hotel will take care of proper relaxation conditions. 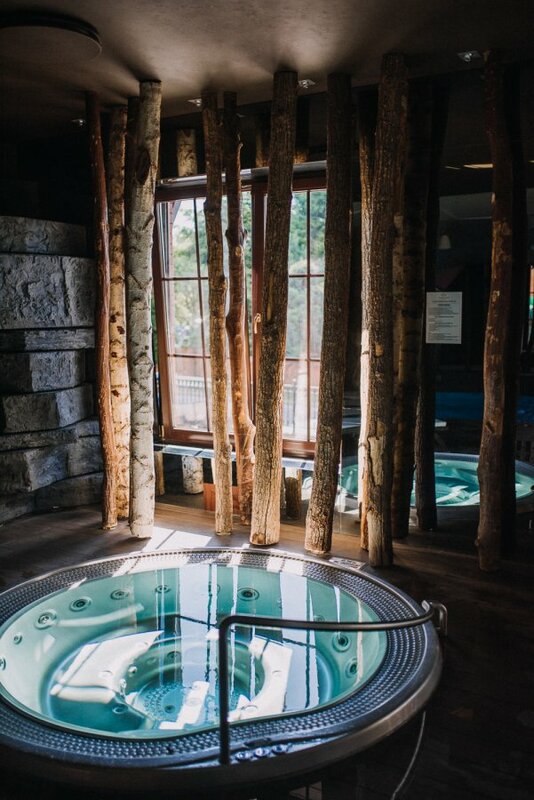 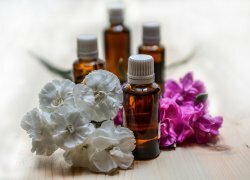 Proper distribution of hot air in the interior of the sauna with a towel and a scent of hot stones with fragrance oils using selected aromas will intensify the body's heating, strengthen the effect of aromatherapy, relax the mind and body. 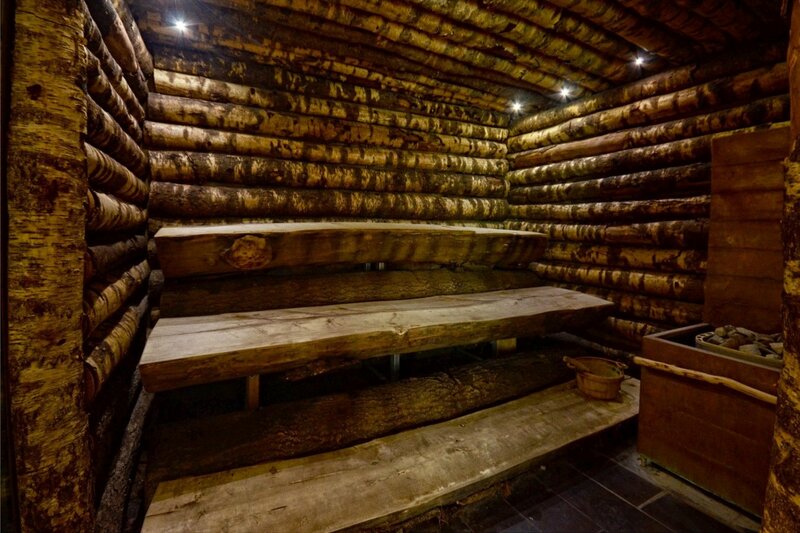 Saunas are an excellent way to cleanse the body and clogged pores, strengthen the immune system and improve oxygen exchange in the body. 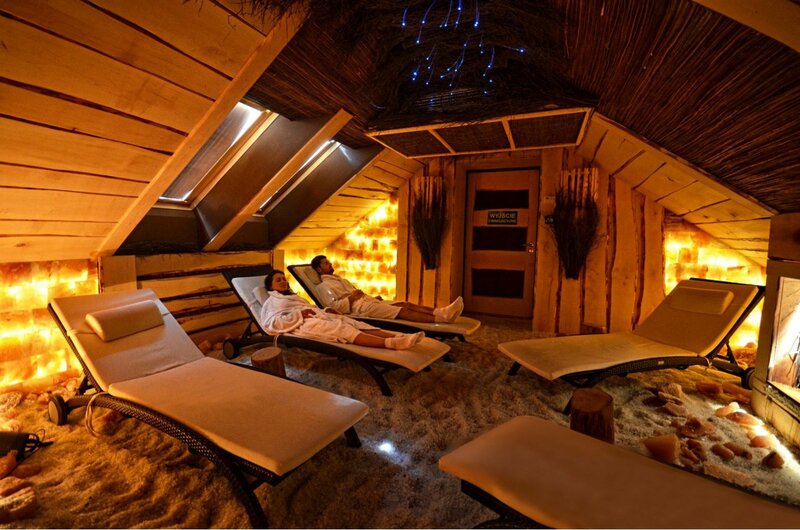 We offer a dry sauna (Finnish sauna), a steam bath and an infrared sauna. 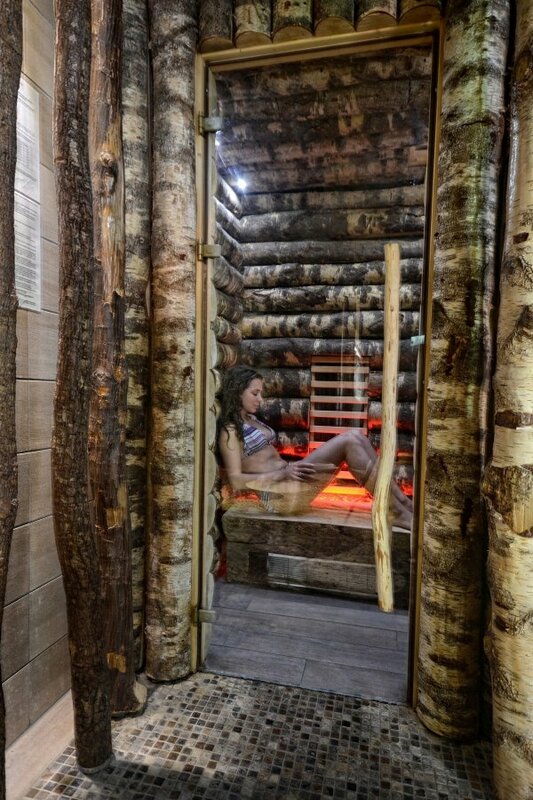 Staying in the Finnish sauna strengthening the immune system, immunizing the body, has a beneficial effect on the movement system and relieves stress. 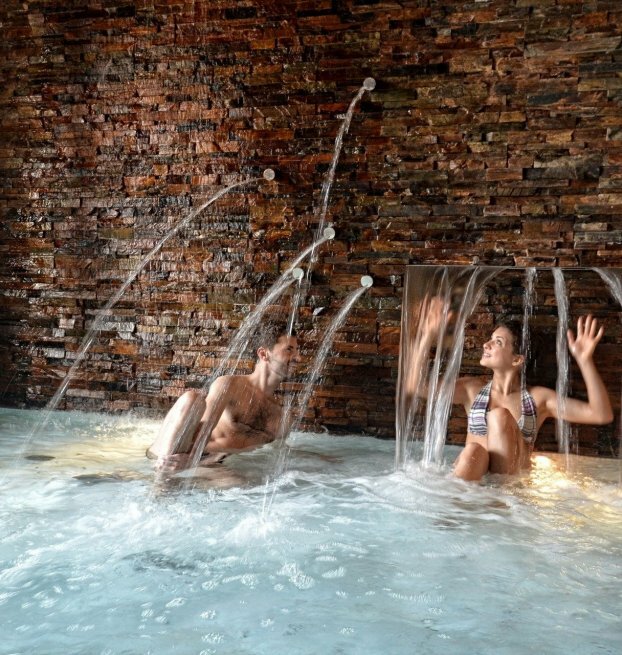 Steam produced by pouring hot stones with water, stimulates the activity of the circulatory system and the work of the heart, improves metabolic processes, heals rheumatic diseases and cleanses the skin. 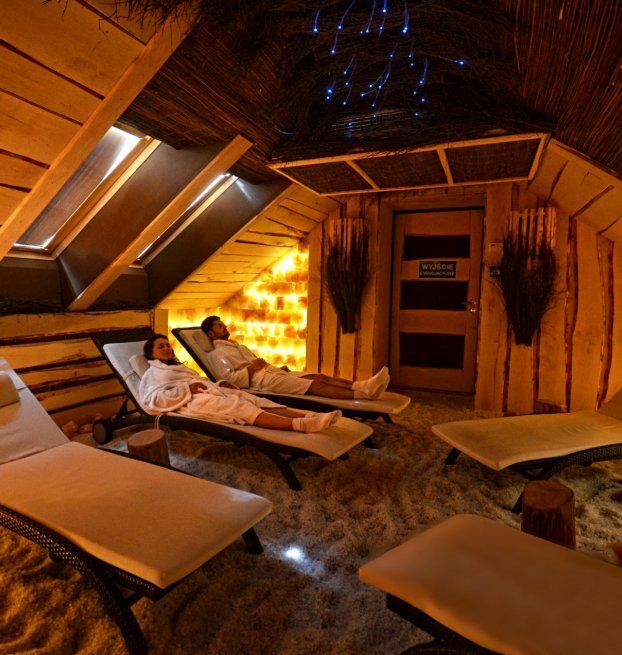 In the infrared sauna infrared rays are used to heat the body. 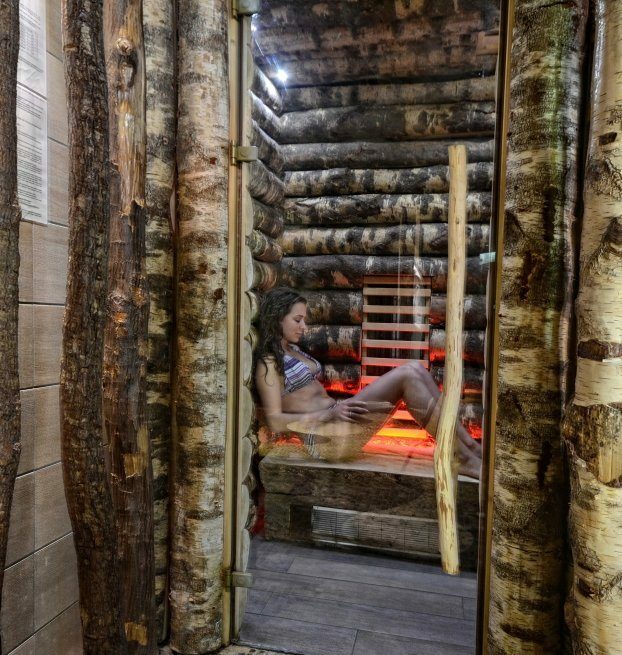 Staying in this sauna has a positive effect on the regeneration of vitality, makes the body immune to infections and improves well-being, contributes to cleansing the skin, improves blood circulation and increases cardiovascular efficiency also reduction of muscle tension and their regeneration, as well as reducing tension and stress. 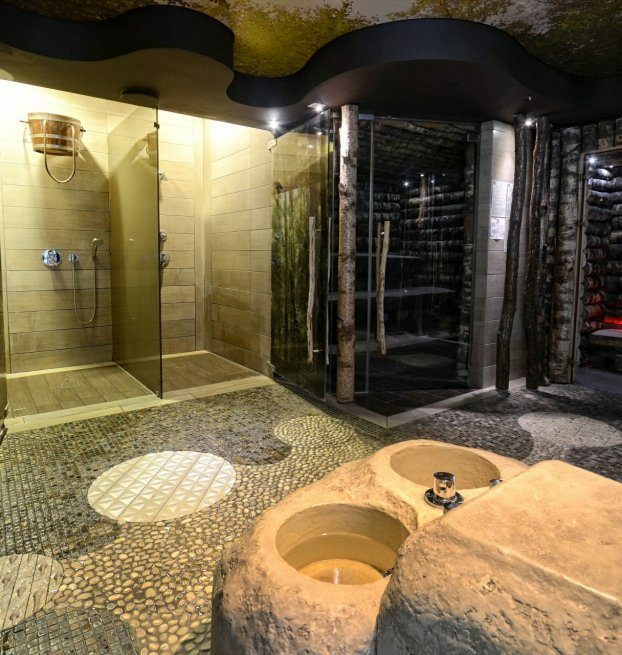 Staying in the steam sauna has a refreshing effect, provides deep moisturizing of the skin, has a firming and nourishing effect. 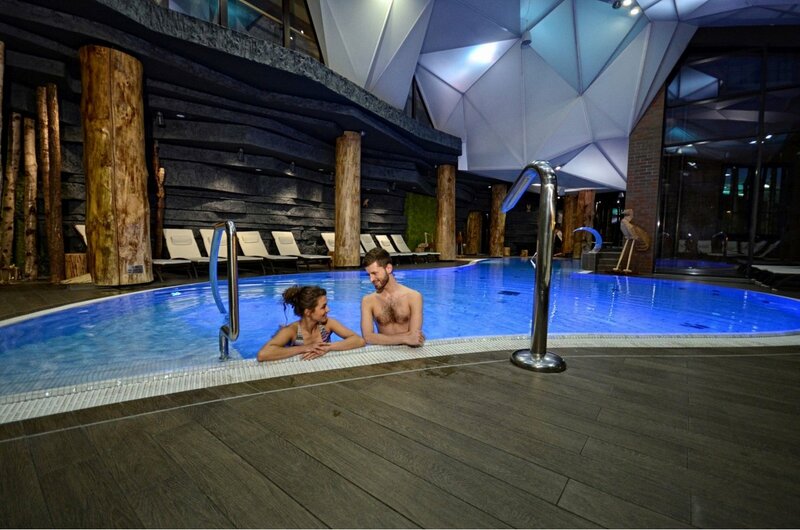 Gentle temperature and very high relative humidity (up to 100%) are a real massage for the body, reduce muscle tension and relax the mind. 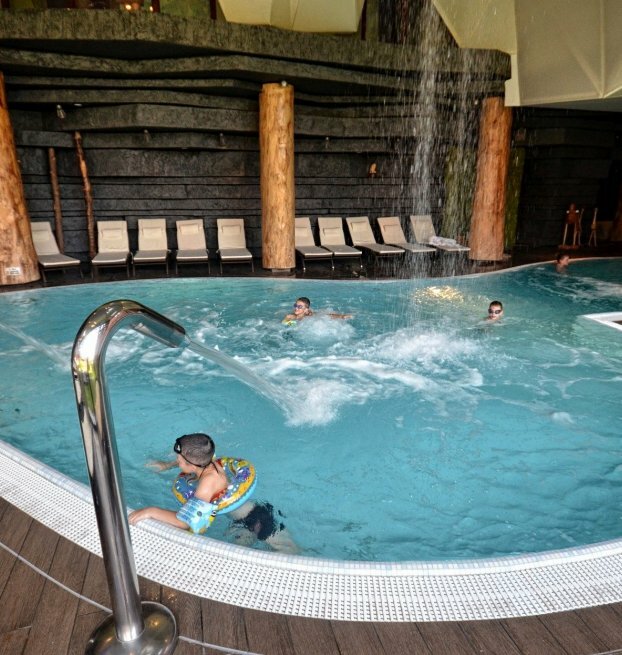 Water in pool basins meets the requirements in accordance with the Regulation of the Minister of Health of 9 November 2015. 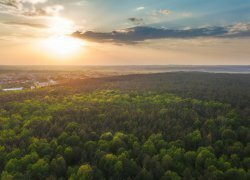 Date of the last test: 22/06/2018. 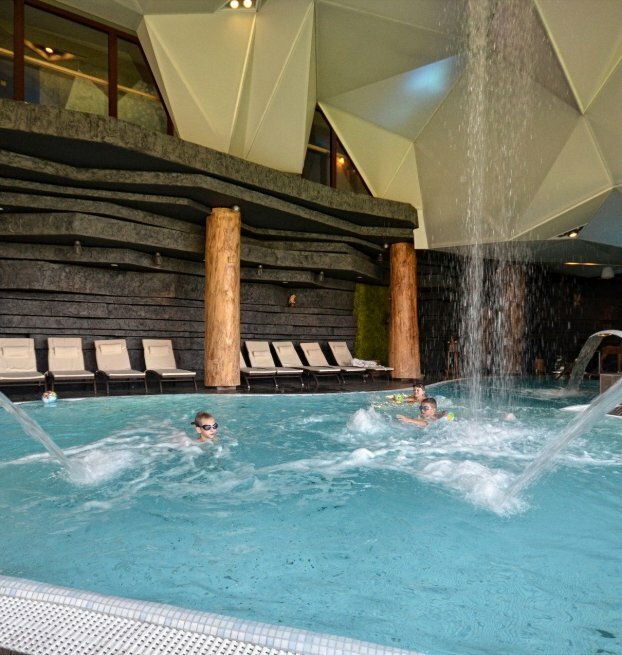 Protocol of the annual assessment of water in the swimming pools of the hotel.